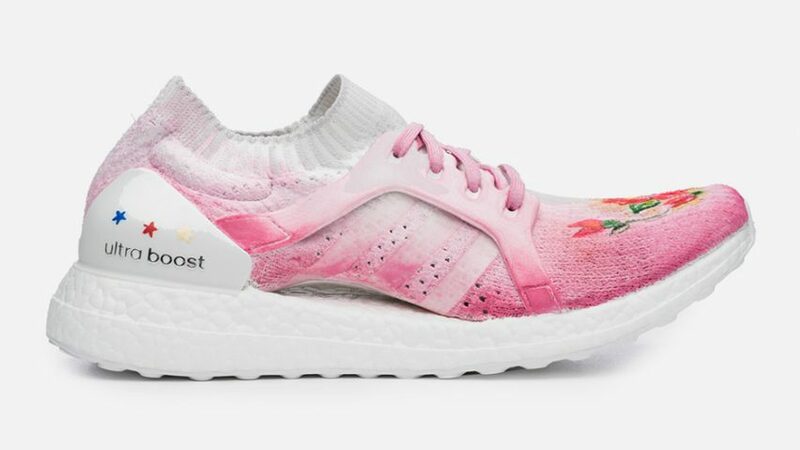 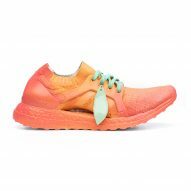 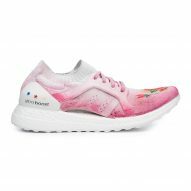 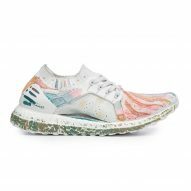 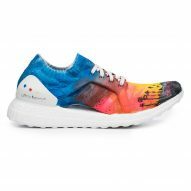 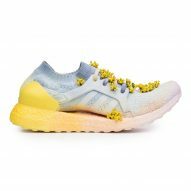 Adidas has tasked 10 female artists to create limited-edition versions of its Ultraboost trainers inspired by each of America's 50 states, to raise money for a women's charity. 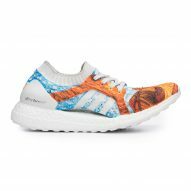 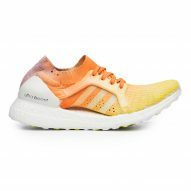 The sports brand partnered with media company Refinery29 for the Boost the Nation project, which will see each pair of trainers sold during an online auction today. 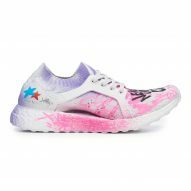 Proceeds from the auction will be donated to Women Win – a charity that uses sport to encourage gender equality across different communities. 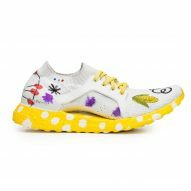 The artists brought on board for the project were Meagan Morrison, Maria Castillo, Bree Poort, Lizzie Darden, Jenny Kiker, Sophia Chang, Mari Orr, Jen Mussari, Carrie Chan, Jordana Schrager and Refinery29 fashion editor Alyssa Coscarelli. 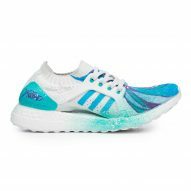 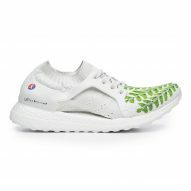 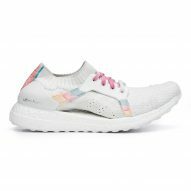 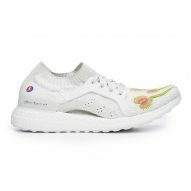 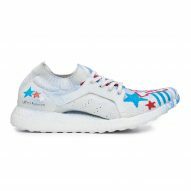 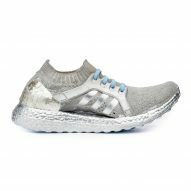 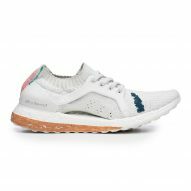 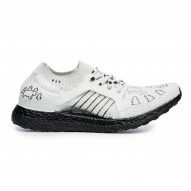 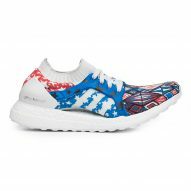 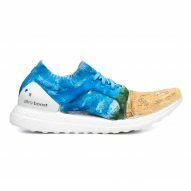 They were instructed to customise white Ultraboost trainers with designs inspired by their given US states – resulting in a unique collection of shoes that the artists feel collectively represents the country. "Each state has something great and unique to bring to the table, and it's important to celebrate them individually and as a whole unit," said one artist, Lizzie Darden. 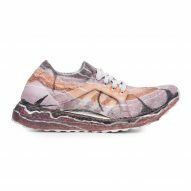 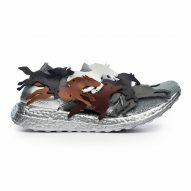 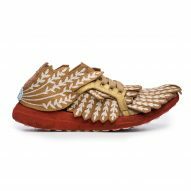 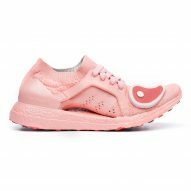 "We wanted the shoes to reflect the landscape that women would be running through if they were to visit each of these states," said another contributor, Meagan Morrison. 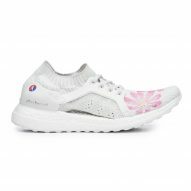 Darden painted her Maine shoe pink and added a red claw in reference to the state's connection with lobster fishing, while Jen Mussari used a combination of fake grass and roses made from leather for Kentucky. 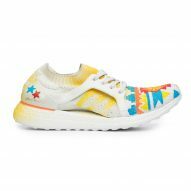 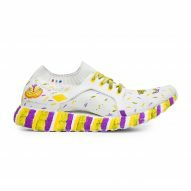 Mussari was also the artist behind a pizza-inspired New Jersey sneaker, which is bright yellow and embellished with leather shapes designed to look like toppings. 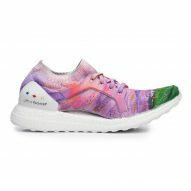 Wyoming, known for its expansive natural scenery, was represented by Carrie Chan through shades of green, while the urban landscape of New York was captured by Maria Castillo in the form of scrawled graffiti. 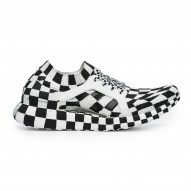 The shoes are currently up for auction on Adidas' website, with bidding closing at the end of the day. 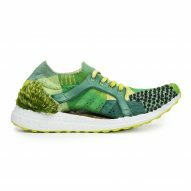 Adidas, which beat out rival Nike on the inaugural Dezeen Hot List, is currently working with new technology such as 3D-printing to experiment with different ways of manufacturing shoes. 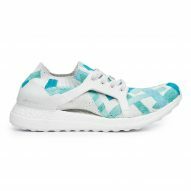 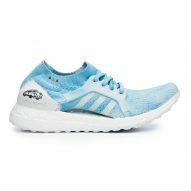 Its ongoing collaboration with Parley for the Oceans has seen the brand incorporate plastic reclaimed from the ocean into its trainers, while a recent partnership with Danish textile manufacturer Kvadrat involved covering its iconic Stan Smith sneakers in dotted fabric.